Britain's last remaining high security prison unit for women is to close, the Prison Service has announced. The news comes on the day a heavily critical report by the Chief Inspector of Prisons, Anne Owers, on the "She Wing" of Durham Prison was released. She said the jail - where six female inmates have committed suicide in 18 months - was "oppressive" and an "unsuitable environment to hold women". 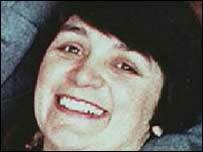 Its category A inmates - including Rose West - will be moved to a private jail. Women at Durham are to be switched to a private jail opening at Bronzefield, at Ashford, Middlesex, and later to another privately-run prison in Peterborough early next year. Top-security male prisoners at the jail will also be moved, including Michael Sams, who received four life sentences in 1993 for the kidnap of Birmingham estate agent Stephanie Slater and the kidnap and murder of Leeds prostitute Julie Dart. Durham will be stripped of its high security Category A status to become a "community jail". The Home Office says it hopes to reduce the security classification of all seven Category A women currently at Durham, to enable them to be held at either of the new private jails. A recent protest at Durham highlighted the number of suicides among women. She Wing has seen six suicides in 18 months among its female inmate population of 100. Ms Owers said: "Durham is a constricted and forbidding physical environment with little space for association or activity, and a particularly dispiriting and bleak exercise yard. "This is scarcely likely to enhance the mental state of women who are feeling depressed and anxious, and who can spend many years in this environment. "We believe that women in Durham can and should be accommodated in other women's prisons." 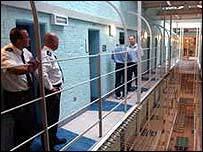 Ms Owers' report highlighted cases of intimidation from Durham prison staff, which "amounted to bullying". Prison Service Deputy Director General Peter Atherton said: "The decision to re-role Durham wasn't taken lightly and we intend to manage the transition very carefully over the coming months. "I acknowledge that many staff at Durham will be concerned about the changes ahead and I want to be very clear that there will be no redundancies at all resulting from the re-role. "The prison will take a leading role in the development of offender management and will be developing and implementing best practices that will provide a model for other prisons throughout the service." Prison Reform Trust Director Juliet Lyon said: "The Prison Service seems to have lost the plot on the management of women. "Until, and unless, we establish a National Women's Justice Board with powers to commission appropriate services and drive up and maintain standards, provision for women who offend will remain a damaging and shameful mess." A Home Office spokeswoman said: "We are going to assess all the women in Durham and we hope that the Category As can be held as "restricted status" rather than Category A. "Restricted status" is a security category between top level Category A and medium level Category B. Prisons Handbook Editor Mark Leech said: "Durham female wing, as the chief inspector says, should be closed and I'm pleased to hear it will be - what happens to Rose West now though is another story. "With the closure of Durham female wing there is no other prison in England and Wales which can take Category A female prisoners. "This an appalling report which shows a female wing of a prison that has been forgotten, submerged beneath the greater weight and importance of the "main" male prison of which it forms a part. "In the last year and a half six female prisoners [held at Durham Prison] have killed themselves"